Large selection of adapters to connect between series and in-series. 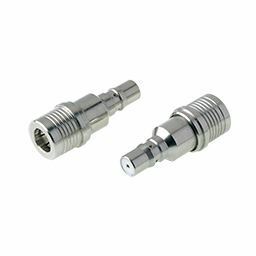 The range includes precision series adapters used in test lab for measurement and qualification. Push-on adapters are specific adapters without thread and are often used in production to save time. For in-series adapters, the applicable performance is the performance of the selected interface. For between series adapters, the performance of the adapter is usually defined by the lower performance interface side.